For Smelting Gold, Silver, Copper, Base Alloys; to PouringIngots. Automatic temperature controls with digital readout- Furnace maintains temperature set by operator. 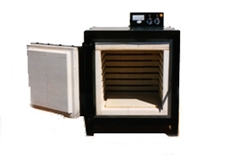 Solid state electronic temperature control are available for all Kilns. 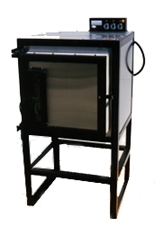 All Burnout Kilns are Front Loading, Equipped with Pyrometer, Infinite Switches, Pilot Lights and Vent Holes. 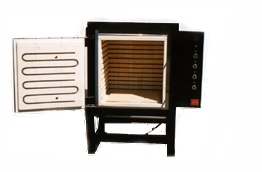 All Dental Kilns are Front Loading, Equipped with Pyrometer, Infinte Switches, Pilot Lights, Door Vents, Top Vents, and Side Mounted Controls.